Skype’s wonderful Translator functionality has finally become reality. The feature was first demoed by Microsoft back in May, and now it’s available as a preview on Windows 8.1 and Windows 10. At the moment, it only works between English and Spanish speakers. But it does do on-the-fly translation of voice calls. So you speak in one of these two languages, and the person at the other end of the ‘line’ will hear the other one. There is a slight delay, of course, but it’s perhaps smaller than one might have expected. The translation is both spoken and written in the Skype chat at the same time, though obviously the coolest bit is the voice-to-audio part. The tool is being marketed as a great fit for schools, as you can see in the promo video below. Microsoft tested it with schools in the US and Mexico. If you’re only interested in the translation of text-based IM chats, then Skype supports that for more than 40 languages. If you want to test the Skype Translator Preview, you’ll need to request an invite at this special website. And if you do get in, the following video will tell you just how easy it is to use the new function. 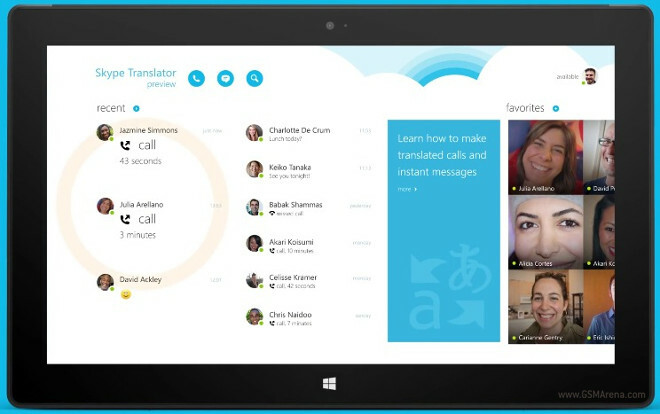 Skype Translator is the result of years of work from Microsoft’s research team and Skype. Hopefully it will be extended to support more languages in the future. If it will eventually work as intended, it has the potential to be a pretty big thing.